Welcome to Hotel Maharaja Regency, the only 4 star hotel in Ludhiana, certainly the most exclusive and the most happening place in the city. It has a beautiful imposing building architecture. 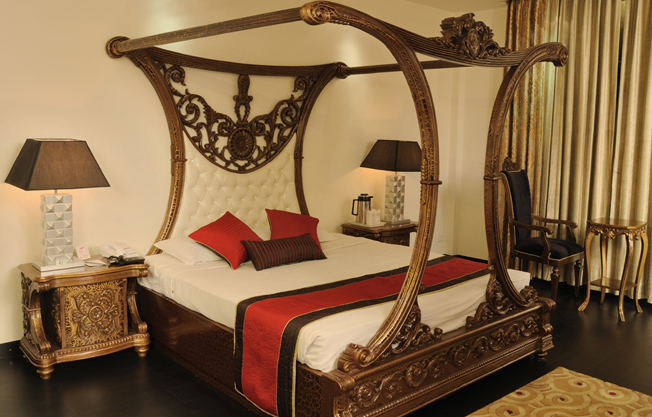 The design and grandeur of this hotel is the first thing that charms the visitors. 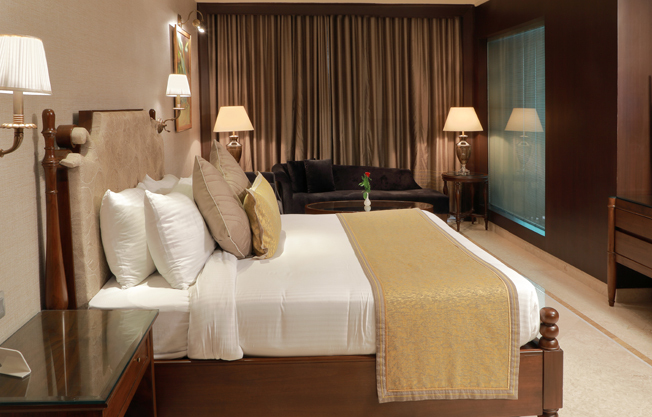 The great service, politeness and sense of duty is the hallmark of this hotel. 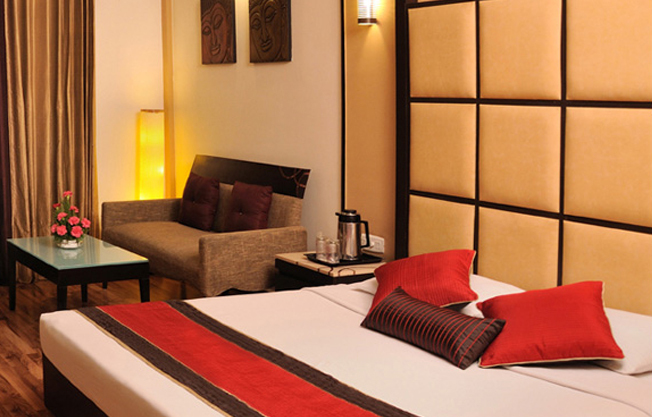 The sophisticated cosmopolitan culture and a great ambience will make one feel relaxed, as well as elated. All the rooms in this hotel are luxuriously furnished having taken great care and aesthetically beautiful and are equipped with all the modern comforts and amenities. Come, Indulge in a culinary experience of vivacious flavours and food at the Gourmet Studio, the signature fine dining restaurant at the Hotel Maharaja Regency, Explore the diversity of our a la carte menu encompassing a myriad of expert chef's made preparations from Indian to Italian and Oriental to Continental. The Elite Lounge and Party Place open for A-la-Carte Kitties & Private Parties. Standing in the heart of business Manchaster of India, Maharaja is just few minutes away from all important places in the city. It has the easiest approach from Govt. Offices, Cultural Centres, Industrial Area, Railways, etc. Our halls are decorated with traditional sofistication and fully equipped with modern technology to host any high profile meeting or a small conferences. Our banquet spaces accommodate from about 50 – 300 seated guests. 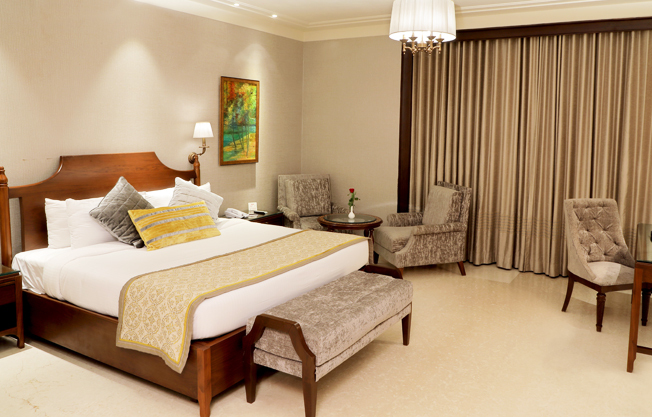 Our motto is to keep high standards of hospitality to deliver you your memories picture perfect. So, our team crafts the best of arrangements, efficient services, excellence in hospitality to give you a hassle free and stress free exprience and make your guests comfortable. Get 10% off on booking through internet. For more than two decades, Maharaja Group has been hallmarked for its great service, politeness & dutifulness in the Hospitality world of Ludhiana. Our group’s flagship venture ‘Hotel Maharaja Regency’ and our premium Banquet venue ‘Kothari Resorts’ have already been delivering the best of the hospitality experiences to their guests. It is situated on Ferozpur road. Rooms are big and comfortable. Service is good. Food is good. Breakfast is buffet and with varieties of veg and non veg food. Service is ok. The location is perfect and it looks like a heritage property. The rooms are spacious and the food quality is good. Room service is very prompt and staffs are cooperative.